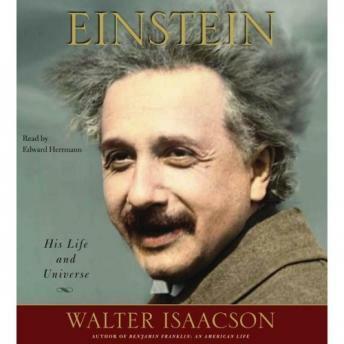 Based on the newly released personal letters of Albert Einstein, Walter Isaacson explores how an imaginative, impertinent patent clerk -- a struggling father in a difficult marriage who couldn't get a teaching job or a doctorate -- became the mind reader of the creator of the cosmos, the locksmith of the mysteries of the atom and the universe. His success came from questioning conventional wisdom and marveling at mysteries that struck others as mundane. This led him to embrace a morality and politics based on respect for free minds, free spirits, and free individuals. If you enjoy a good scientific puzzle, you'll love this book. If you enjoy history and biographies, you'll find it fascinating. I found myself being enthralled by the "thought experiments" that characterized Einstein's work, plus all the historical events and controversies of the day that impacted on Einstein's life. I can thoroughly recommend this book.